Welcome to our round-up of amazing Christmas features from last week’s Inspiration Friday! We felt that there were so many amazing holiday and everyday links that we thought TWO features were deserving of last week’s party! Today we are sharing some of our favorite Christmas and Holiday posts and next week Inspiration Friday will resume as normal with another round of features! 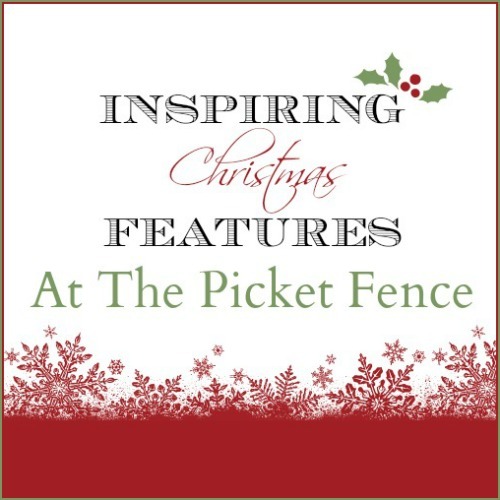 So, grab a cup of coffee or hot cocoa and take a moment to enjoy these gorgeous Christmas features! Laura from Top This Top That shared her beautiful Living Room all dressed up for Christmas and looking so lovely in all of it’s winter-y whites and silvers. Kathy from Kate’s Place showed us her lovely Christmas bedroom and it has such a serene feeling to it. Perfect for resting after those long days of shopping and baking! Jennifer from Town and Country Living gave us a tour of her entire home all decorated for Christmas but what we especially loved is that she even gave the bathroom a gorgeous winter makeover. So stunning! Katie from Creatively Living showed off her beautiful Dining Room all decked out for Christmas and there are just so many fabulous details here. We love the numbered burlap chair slips! 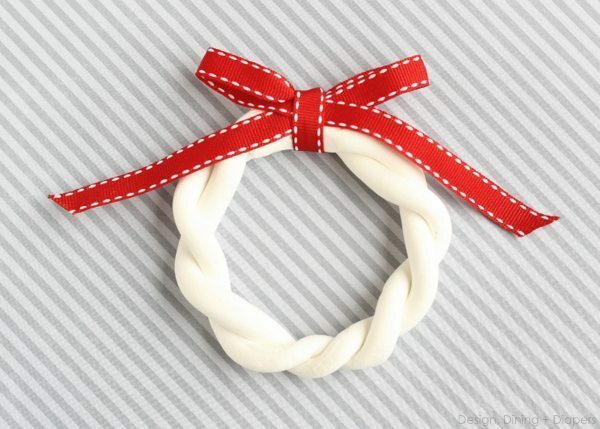 Angelina from Shop Ruby Jean knows the way to a man’s heart…a DIY Man’s Wreath! The garden has never looked so beautiful as Kristen of Sophia’s Garden-Inspired Tree does! 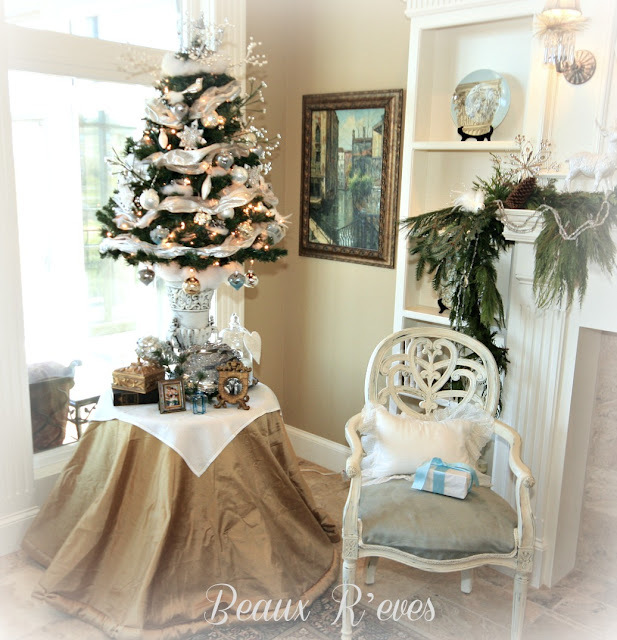 Cindy of Beaux R’eves designed this classic white Tabletop Tree full of beautiful detail! 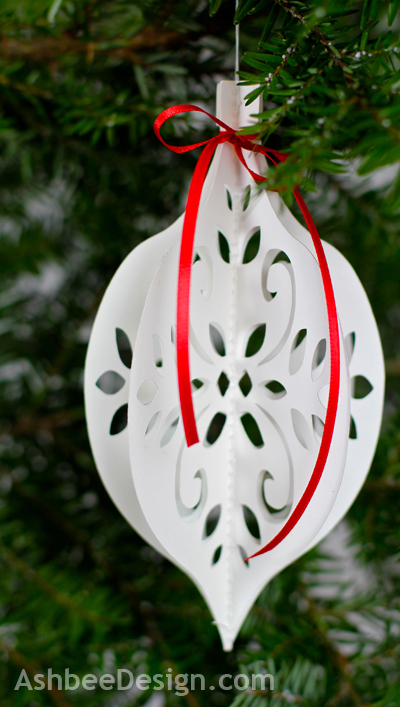 These “Sillouette” DIY Paper Ornaments from Ashbee Designs are simple yet sophisticated! Robin from Happy At Home created this Christmas Woodland Display. We love the attention to detail! Grab cup of cocoa and enjoy one of Sue of Munchkin Munchies Cup O’ Cocoa Cookies! 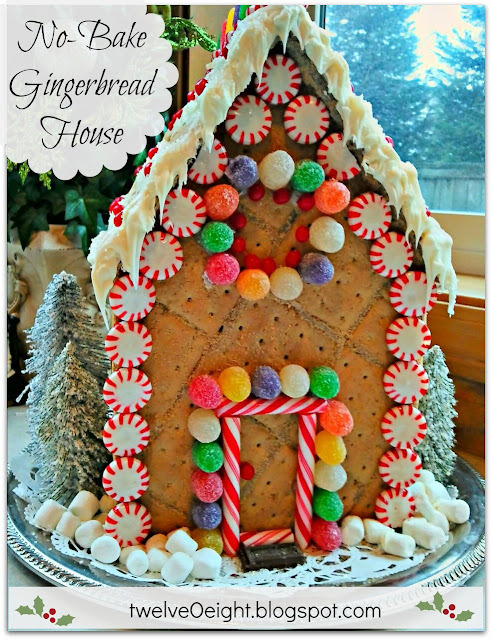 Tanya of TwelveOEight‘s No Bake Gingerbread House is almost too cute to eat! 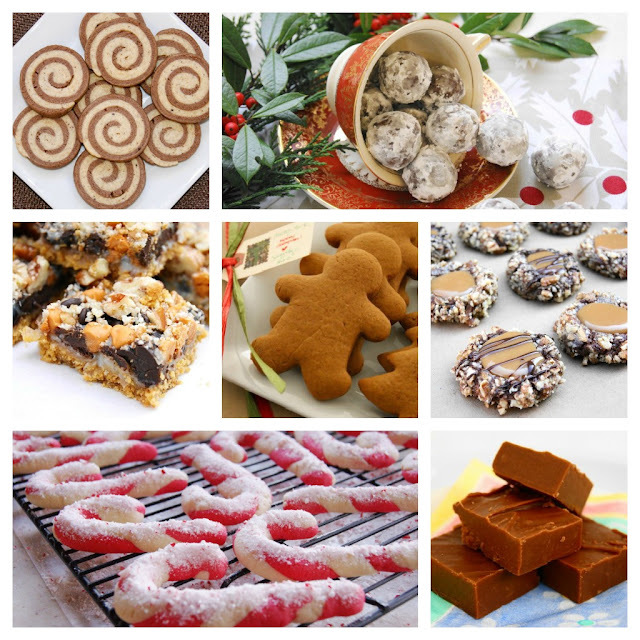 Tracey of The Kitchen Is My Playground has rounded up her 16 Sweet Treats for Christmas in one post. There’s a treat here for everyone! There’s only one person we know who could take a simple “Elf on the Shelf” photo shoot and turn it into something so hilarious and so…ahem…naughty. You’ll have to go over and visit Kerry from HouseTalkN to see more of the Elf on the Shelf Gone Wrong! Debra from Homespun shared how feeding the birds has played such an important role throughout all the stages of her life and the treasured memories that have been created as a result. If you have one of the fabulous posts featured here today, we’d love you to grab the I’ve Been Featured Button! We hope you’ve enjoyed these inspiring Christmas project, ideas, recipes and decor! We know you’ll want to remember some of these for next year. Please visit each blog directly to pin these amazing posts so that the original authors get full credit! Thank you! 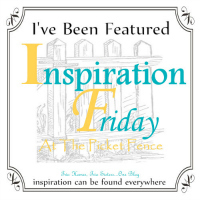 See you back at Inspiration Friday next week with some more amazing features! 22 Comments on "Inspiring Christmas Features!" Great features! !…The Elf on the Shelf made me laugh til I cried…!! Thank you for featuring my post ..I was reading through everything and got quite the surprise when I saw my name there! 🙂 Merry Christmas to you and your families ! Oh goodness – I’m surprised and delighted to see my Silver Bells Memory tree featured as part of your Inspiring Christmas Features. Thank you! I hope both of you and your loved ones have a joyous and blessed Christmas! Oh- what a lovely surprise to see my living in your inspiration features! Tell ya, I love all of the features but the elf on the shelf is tooo funny! Merry Christmas my friends!! So many wonderful features! It makes me sad that all the Christmas decor posts will soon be over! I gotta go check out that elf on the shelf! The features are all so inspiring! I’m really drawn to those hot chocolate cookies! What a clever, clever idea. 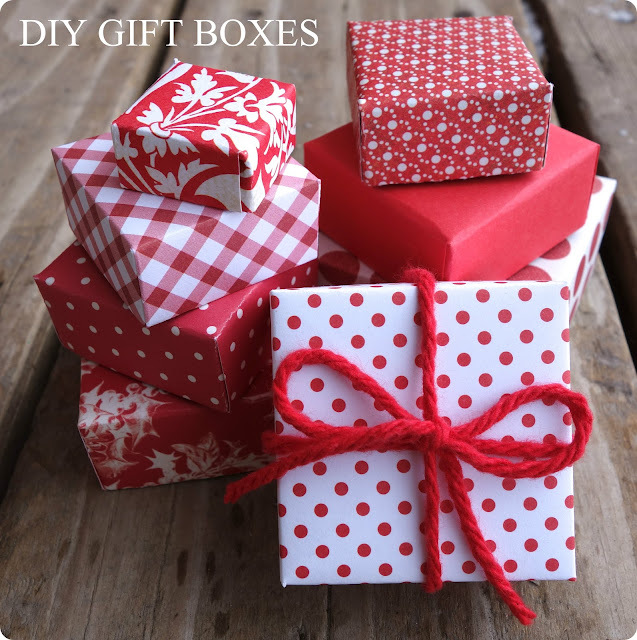 Thank you so much for hosting and for featuring my DIY gift boxes. I’m a new blogger, so it’s thrilling to see something of mine being featured. Thanks again! I hope you have a very Merry Christmas! what beautiful featurews. I enjoyed them all, thanks for sharing. I love you, sistas! Thank you for sharing my naughty elf! Ah! thank you ladies for featuring my “Man’s Wreath” I can’t wait to stop in and take a closer look at some of these Lovely features. Love all these amazing features! Thanks for rounding them up in one post. Merry Christmas to you Heather & Vanessa! So happy to have met you at Haven this year and hope to see you all again one day! Awwwwww, you two are the sweetest. Thank you so very much for featuring my simple red and white cabin display with this fabulous roundup of Holiday cheer. You have made me day. Merry Christmas and thanks again. Thank you so much for including my 16 Sweet Treats Round-Up in your feature picks! Such a nice treat to pop on over to your blog and see ‘me’ in the list. Wishing you and your families a very Merry Christmas! What a wonderful post and what amazing talent out there. Wishing you both a wonderful holiday and new year. Thank you for always inspiring me with your words and talent! Beautiful features! Enjoy the break, you deserve it! Merry Christmas! 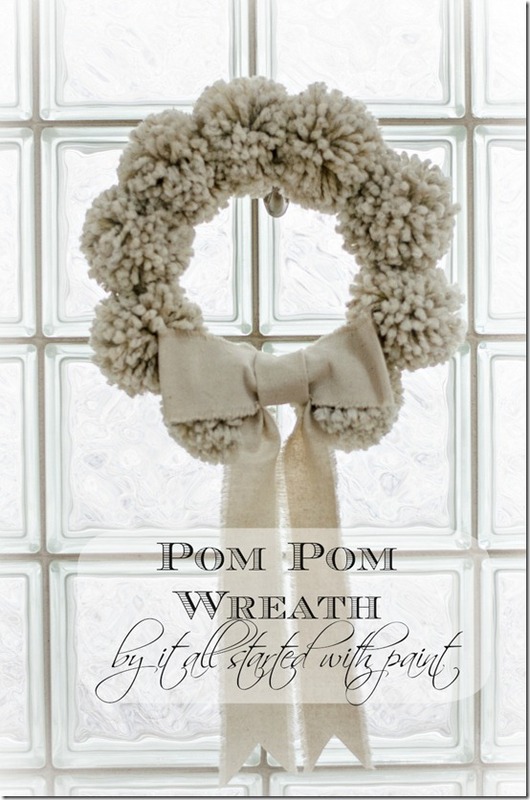 Love that pom pom wreath and the Joy Tree. So many ideas for Christmas 2013! So many great features! 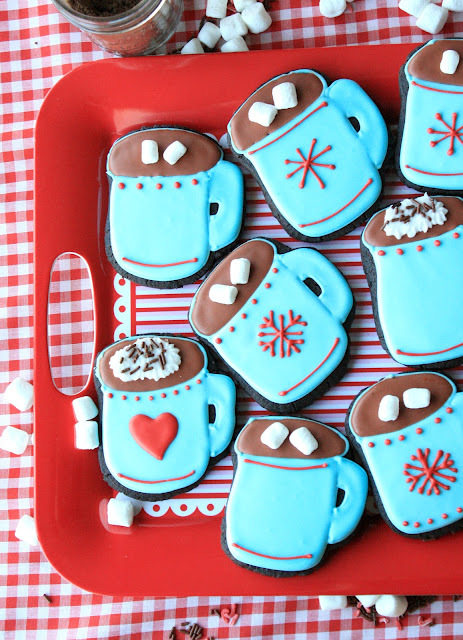 Thanks so much for including my Cup O’ Cocoa cookies! I need to go check out the others, starting with the Elf:) Have a very Merry Christmas! EACH and EVERY one of those features are drop-dead fabulous! Have a blessed and Merry Christmas and happy healthy New Year! Thank you so much for the feature ladies! Wishing you both a very blessed Christmas!